It’s been a big year for Sutton Tools, marking a century in business, as well as winning a Manufacturer of the Year award at the 2017 Victorian Manufacturing Hall of Fame. 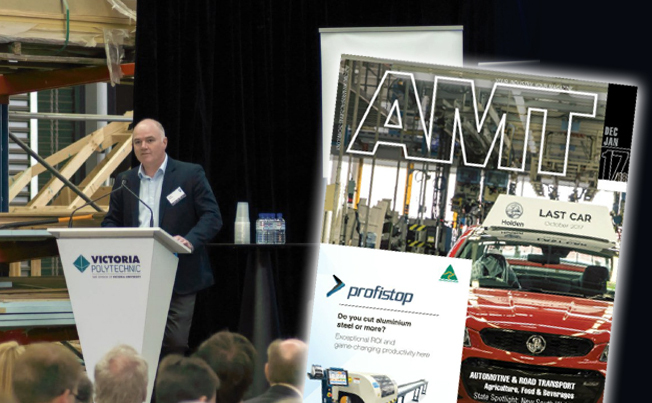 At the Victorian Manufacturing Showcase in October, Managing Director Peter Sutton shared some of the lessons his company has learnt over the years. The following is an edited excerpt from his presentation. As you’d expect, we are incredibly proud of our achievements, and also humble, in reaching the milestone of 100 years – an achievement pretty special for a family business, and also importantly for a manufacturing business in light of the tragedy of the recent automotive closures. Undoubtedly to reach this point it has taken the efforts of countless hardworking, talented and dedicated staff. There are also many other factors that have contributed – not discounting some lucky breaks. I would like to share with you a couple of our insights into what has enabled our company to be here today to share our story. A pivotal point in our recent history happened back in the mid-1990s. We had been fortunate enough to navigate our way through our last official recession. Unfortunately many other manufacturers, including our customers, hadn’t. We had also finally gained the upper hand in a long David and Goliath battle against our major domestic competitor. Things were looking okay for us and I guess we were feeling quite pleased with ourselves. However, we had learnt some lessons from that recession, and one of them was that if we were to grow, let alone maintain our production levels, we needed to look at markets outside of Australia. Along with other Australian manufacturing companies, there was a major push at the time for us to embrace our geographical neighbours in Asia and have less of a tie or a focus on our traditional trading partners in Europe and North America. So this was where our first significant drive into exporting began. My cousin Robert Sutton was appointed our first export manager. He was literally loaded up with a suitcase full of our finest tools, bought a ticket, and sent on his way to harvest “the rivers of export gold”. I think you can imagine how it turned out. How naïve and wrong could we be! And somewhat arrogant. 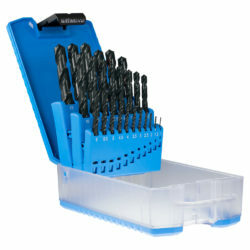 At the time we had touted ourselves as Australia’s premium tool manufacturer – which we probably were. But due to our focus on the domestic market and local competitors rather than what was happening further abroad, the world had passed us by and we had fallen behind and we missed it. Exporting quickly uncovered some sobering truths. Our specifications were out of date, our geometries were old-fashioned. Wrong material, inconsistent quality, too expensive. Even our packaging was no good! It was at this point where we had to make an important decision. Do we retreat back and just focus on our domestic market? Or do we do what needed to be done to take on the challenge, compete on a global scale, and get our products where they needed to be. So perhaps somewhat out of pride and a large amount of stubbornness we chose the latter, doing what was required to make us globally competitive. So where do you start? For us it was benchmarking. Benchmarking ourselves against the best tool companies in the world, and setting the goal of not only matching but surpassing them. Another term I like to use for benchmarking, one I first heard used by Archie Cowen, the founder of the wonderful ‘Insights to Excellence’ program (which is still operating today and I would encourage anyone to take up), was: ‘Steal with Pride’. Look outside your business and gain the learnings and inspirations from other great companies, not only in your industry. Borrow or steal these ideas and adapt them for your businesses, make them your own, but most importantly improve on them and make them even better. This has certainly always been a core part of the Sutton ethos. Each year many of our staff travel the world attending trade shows, visiting suppliers, customers and other great manufacturing companies, gaining inspiration, and incorporating these lessons into our own business. I very much welcome the Victorian Government’s recent announced Advanced Manufacturing Initiatives, in particular the Global Discovery Exchange, which provides manufacturers such as yourselves an opportunity to study first-hand world’s best practice. It is without debate that if we had not pursued this export journey, it would have been a matter of just a few short years before our local market and Sutton Tools would have been overrun with better quality and cheaper tools. A second element important to our development has been to ‘Embrace the Difficult’. One such example relevant to this is in the development of our micro-diameter forming taps for the electronics industry. 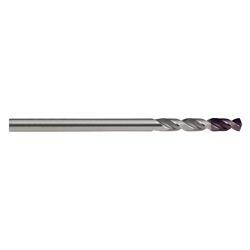 A tap is a cutting tool used for making an internal thread in a hole. In many of electronic devices, such as your smartphones or laptops or iPads, there are dozens of these micro-holes, all requiring threads, machined with this tool. For us this was the ultimate challenge, a 1mm diameter tool with a thread pitch of 0.25mm – or the equivalent of the thickness of 2 human hairs. For us this was certainly Embracing the Difficult. The development of this tool has taken literally over a decade – and it is still going. Every aspect of the product had to be painstakingly engineered, starting from material selection, blanking, heat treatment, form and thread grinding, micro-polishing, PVD coating – not even to mention the capital investment required. Ten years of development, which included countless setbacks, costly errors, customer returns, and scrapped production. Often we contemplated just giving up – too hard. But we stuck at it, not only for the pride of getting that product to successfully work, but more importantly what it also did for all our other products and our manufacturing processes. Those learnings, taken from that development, and incorporated across our entire product range. Pleasingly, I can say that today we are one of only a few approved, accredited suppliers to Foxconn, which is the world’s largest manufacturer of consumer electronics, employing over 1.3 million people across multiple continents. For those of you with iPhone, a Kindle or a Nintendo – it was made by Foxconn – and hopefully there’ll be a few of our tools that went towards making them. So here we are 100 years on. This year we received the honour of being awarded the Victorian Manufacturing Business of the Year. And more importantly our exports now represent over 50% of the products we manufacture. The journey has not stopped and never will; however, today we can travel to any market globally with a high degree of confidence that the tools that we make cannot only compete with the best in the market, but often surpasses them. Never rest on your past successes – Remain humble and avoid complacency. Benchmark yourself on what’s going on globally, and yes – Steal with Pride. Embrace the difficult – it drives innovation and improvement. Seize your opportunities from the luck you make for yourselves. To finish, I took a picture in Europe recently while wandering an old cemetery prior to attending an engineering exhibition in Germany. It was a statue of a man struggling to push a large rock up a hill. Not knowing its exact meaning, I did some research and discovered it was King Sisyphus, from Greek mythology. This task, of pushing this rock up a hill for eternity, only to have it come back down and roll over him, was a punishment from the Gods. I quickly found a bit of a parallel with a career in manufacturing: difficult, frustrating and sometimes with little reward. However, it is this struggle and the endeavours towards continual improvement in the processes and our products that gives us all our enormous satisfaction in this great industry. This transcript was previously published in Australian Manufacturing Technology.